Job and Intern Opportunities with Us, Social Services "Social" , and More! 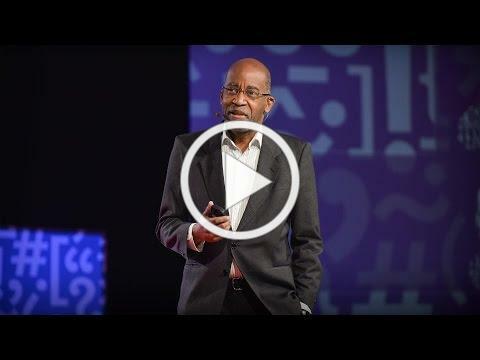 Hear Harvard University's David Williams how discrimination and racism affects a person's health. Job and Intern Opportunities with Us! Please share these postings with your networks! This position is responsible for the planning, program development, and evaluation of Live Well Springfield, a coalition of over 30 organizations working together to build and sustain a culture of health in Springfield that includes the broadest definition of health, including healthy eating, active living, the built environment, economic opportunity, housing, and education as well as other projects. LWS Manager job description and how to apply. The Public Health Institute of Western MA is excited to partner with TechSpring to bring you The Social Services "Social". At this event you'll learn the preliminary results of our regions Social Services Assessment survey and get an update on new Accountable Care Organization and their work to link with social service agencies. 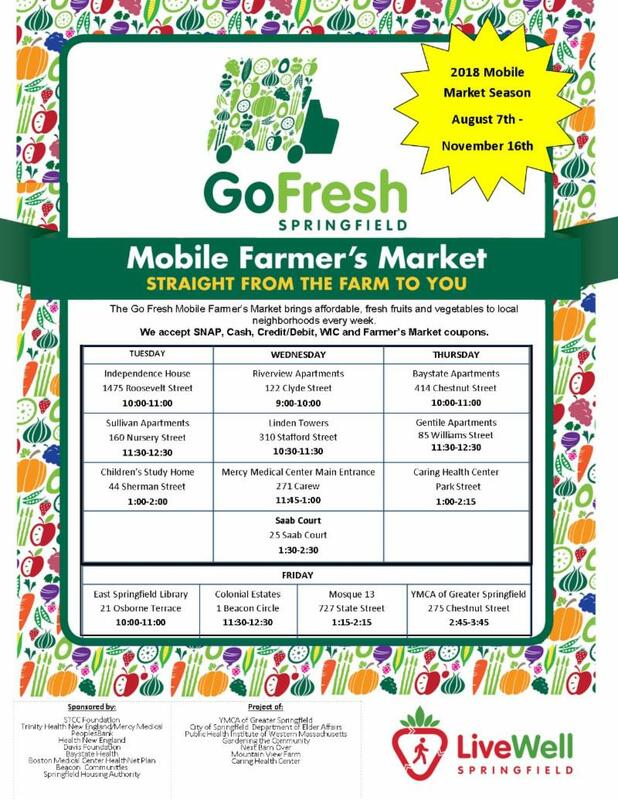 ﻿It's Live Well Springfield's eighth season of the Go Fresh Mobile Market with 14 stops across Springfield! The 2018 season begins Tuesday, August 7th and runs through mid- November. The Massachusetts Health Policy Commission (HPC) as part of their SHIFT-Care Challenge has awarded Baystate Health Care Alliance/ BeHealthy Partnership ACO a $750,000 grant to expand the Springfield Healthy Homes Asthma Program designed to improve the health and quality of life for people with asthma. The HPC’s SHIFT-Care Challenge grant opportunity is designed to foster innovative care delivery models in Massachusetts that shift the unnecessary delivery of care of complex patients from acute care hospitals to more economical, patient-centered, community-based settings. With this funding, the Springfield Healthy Home Asthma Program will expand to serve 150 families in Springfield. 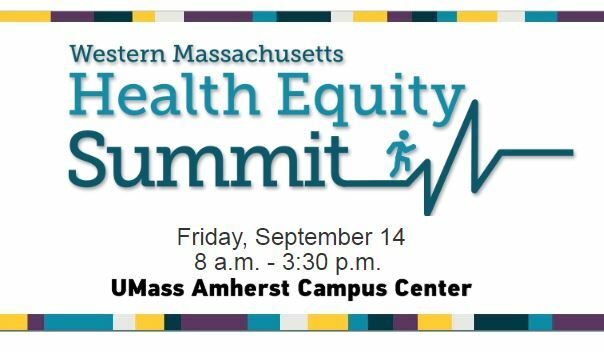 Partners include MercyHealth ACO, University of Massachusetts Medical School –Baystate, Public Health Institute of Western Massachusetts , Pioneer Valley Asthma Coalition , Baystate Medical Center’s Pulmonary Rehabilitation Department , Revitalize CDC, City of Springfield Office of Housing , Springfield Partners for Community Action , and Green & Healthy Homes Initiative . HealthCare News - Collaboration Receives $750,000 Grant to Address Asthma. Health New England is pleased to announce an inaugural grant program as part of their Community Benefits Giving Program to help advance the health and wellbeing of vulnerable population groups living in Western and Central Massachusetts. For more information, please visit their our website at healthnewengland.org/community/grantprogram . Racial inequality has long been a social problem, but is it also a health problem? Hear Harvard University's David Williams how discrimination and racism affects a person's health.